Mark Zimmerman of Addison likes the weekly electricity-usage reports he receives, now that ComEd installed a new smart meter at his home. Mark’s new smart meter is one of 4 million that ComEd plans to install in homes and businesses in northern Illinois by the end of 2018. 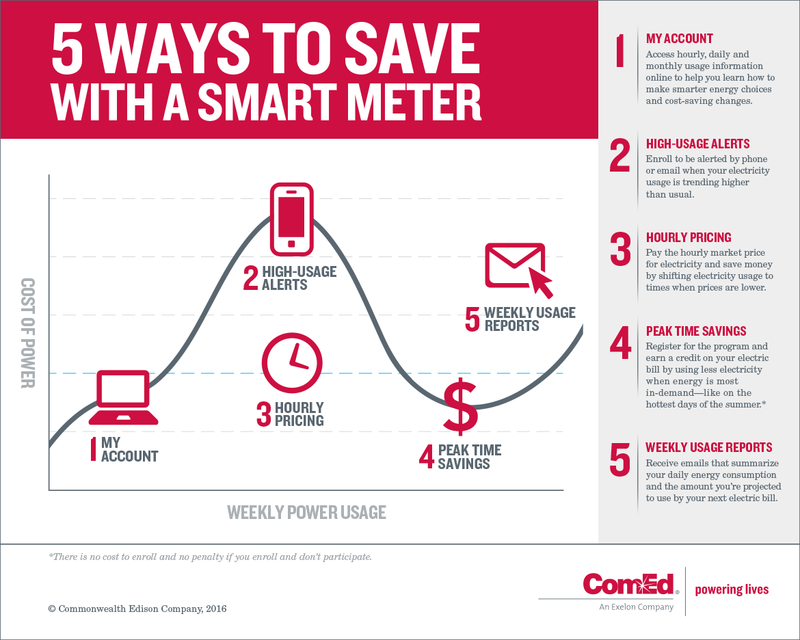 ComEd’s smart meter program is delivering savings opportunities to customers. Mark says he checks his hourly, daily and monthly energy usage information online and gets tips on how he can manage his usage. He says he lowers his electric bills by doing laundry at night and decreasing the use of appliances that use the most electricity. Customers can now receive high usage alerts by text, as well as phone and email.